In May this year, preliminary findings from an observational study in Botswana raised a potential concern about the use of dolutegravir for women. 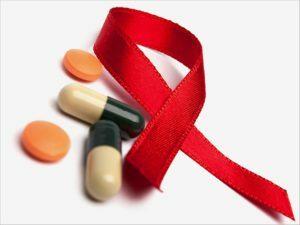 Dolutegravir was in the process of being recommended in national HIV guidelines in almost 70 low- and middle-income countries, following the medicine’s earlier introduction in wealthier countries. The concern relates to an ongoing observational study in Botswana (the Tsepamo study) that found a potential risk relating to the use of dolutegravir at the time a woman conceives. Preliminary analysis from the study showed that four women out of 426 who conceived while taking the medicine gave birth to infants who had neural tube defects. This worked out to a rate of 0.9%, higher than the average of 0.1% of women in the rest of the population. Updated data since shows an additional 170 births, with no additional neural tube defects reported (thus bringing the rate down to 0.67%). At the time of writing, the number of conceptions in the study are over 800, and no more babies have been born with neural tube defects. Neural tube defects can be caused by a number of factors, such as a woman having insufficient folic acid at conception, or diabetes. The cause of these four cases is not conclusive and we do not know if dolutegravir causes birth defects when taken during conception. In fact, while an increase in neural tube defects was observed in Botswana, it has not been observed in any other countries conducting similar studies. In summary, it all may be by chance, or it may be a real danger. We need more time to be sure. The final outcomes of Tsepamo are expected in April 2019. “Woman-centred health services involve an approach to health care that consciously adopts the perspectives of women and their families and communities. This means that health services see women as active participants in and beneficiaries of trusted health systems that respond to women’s needs, rights and preferences in humane and holistic ways. Care is provided in ways that respect women’s autonomy in decision-making about their health, and services must provide information and options to enable women to make informed choices. The needs and perspectives of women, their families and communities are central to providing care and to designing and implementing programmes and services. A woman-centred approach is underpinned by two guiding principles: promoting human rights and promoting gender equality”. Following the WHO caution regarding the use of dolutegravir many countries have taken a conservative approach on women’s access to this medicine, and in some cases slowed or stalled progress altogether. We understand a guidelines committee meeting in South Africa is scheduled for 30 November. The conservative stance being taken in a number of countries restricting women’s ability to choose dolutegravir echoes other age-old struggles for women to be able to make choices about their own health. In this instance, some policy makers are changing treatment guidelines to recommend that dolutegravir be reserved only for men and for women above 50 years of age. In doing so they are taking away women’s right to make an informed choice over their own bodies and health needs. Women of childbearing age have the right to make an informed decision on whether they want to use dolutegravir or not – and alongside that they have the right to be provided with access to a range of contraceptive options and termination of pregnancy services. The Tsepamo data is as yet not conclusive, and is one study from a single country. We do not know if dolutegravir causes birth defects when taken during conception. On the other hand, dolutegravir’s side effect profile of decreased risk of development of drug resistance, decreased costs, and superior ability to suppress high viral loads late in pregnancy, make it an important option for use in South Africa and the region. This is an edited extract from a new dolutegravir briefing developed by Health GAP. To download the colourful and informative briefing click here. Lotti Rutter and Maureen Milanga are Associate Directors of International Policy & Advocacy at Health GAP based in South Africa and Kenya respectively.